BAR HARBOR — Cookie Monster, the devil herself and a spooky skeleton were among the 50 entrants who braved a late October chill for the Mount Desert Island YMCA’s Rolling Bones 5K race on Saturday morning. A handful of runners got into the Halloween spirit by donning costumes, while others focused on keeping their hands and heads warm. The race followed a 5K loop from the MDI YMCA and back. Dylan Brann finished the race in first place with a time of 19 minutes, 37 seconds, followed by Andrew Tiemann in 20:27. Laura Anderson finished first for the women and 11th overall with a time of 21:46. Robin Clarke was the second female finisher and 14th overall in 22:03. Rolling Bones is the final race in the Smile Design/Eden Athletics Points Series. Eden Athletics runners get points for races that they participate in throughout the year beginning with the Flat Top 5K in March and ending with Rolling Bones in October. 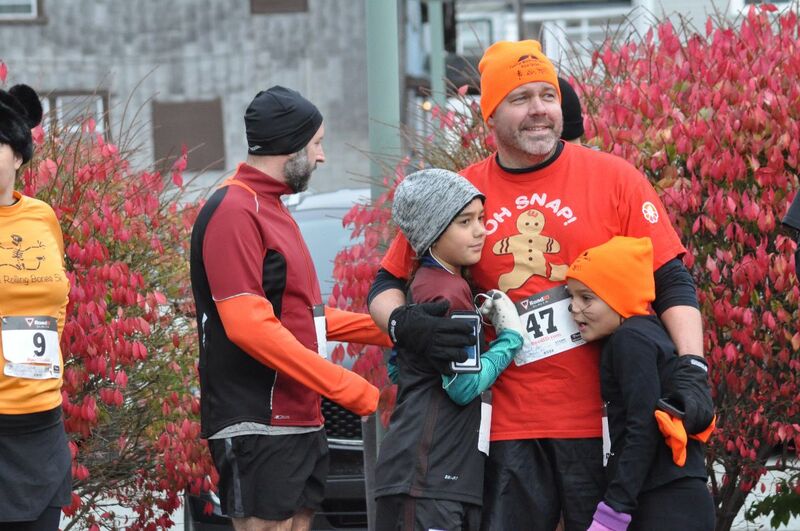 The MDI YMCA will host the Turkey Trot 5K on Thursday, Nov. 24, at 9 a.m. Registration fees are $15 for adults and $5 for runners under 15.